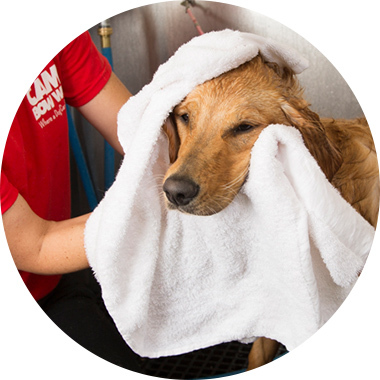 Contact us at (214) 747-3647 to learn more about our dog grooming services. Please note that we do not offer drop off grooming services. All dogs must be attending day camp or be an overnight Camper to receive our grooming service.